Eastern Counties Rugby Union - News - Eastern Counties U20’s, are raring to go, ahead of first County Championship fixture v Kent…. News » Eastern Counties U20’s, are raring to go, ahead of first County Championship fixture v Kent…. Eastern Counties U20’s, are raring to go, ahead of first County Championship fixture v Kent…. Eastern Counties U20’s, are upbeat ahead of their opening fixture of their County Championship season, this Sunday v Kent Rugby. The fixture taking place on Sunday afternoon, features some of the top U20’s players in the Eastern Counties, including from the start Cambridge scrum-half Fin Creighton, who put in a man of the match display for the Senior side in the final game of last years’ Bill Beaumont Cup defeat, to Yorkshire, at Grange Road. Speaking ahead of the fixture on selection, newly appointed Head coach Ben Penfold said, “we had a game against a Cambridge University side last Friday, which gave us a nice platform to select a 22-man squad from that. Equally the player’s that weren’t available due to club rugby commitments were assessed, and we made our decision from observation of all players who were in the possible slots. “We’ve got some really good gems within the squad. From my point of view, it is about allowing them to use these three games in the Jason Leonard Shield Championship, to give them the best platform for London & South East Selection, and hopefully onto England Counties U18’s selection”. 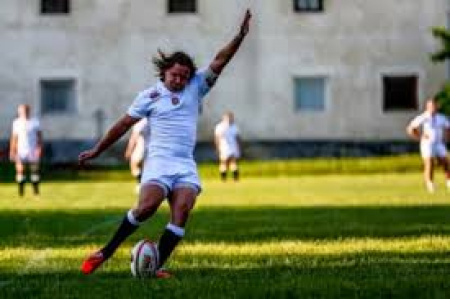 Penfold, 24, remembers his own experiences of going through the U20’s set-up’s, both with Eastern Counties and England Counties, which he hopes he can use to his player’s advantage, to give them an idea of how to approach each game and the challenge going forward. On this, he added, “they have all got three games to put their hands up for London & South East selection after the three games. As for senior selection and the progression with Eastern Counties itself, the majority of them will be invited to play some part for the Senior side. Whether that is observing, training or ending up in the matchday squad, it all depends on the attitude and aptitude to the environment that they bring”. He also added, that due to his tender age in terms of coaching and equally playing, he feels he brings an added edge to the Head Coach role of the U20’s. “It’s a challenge that a young coach in my position, being that I am still a player that has hopefully 200+ senior appearances left to his name. It is one of them where I am current player so can perhaps dig in to the player’s psychological side more and be compassionate to how they’re feeling ahead of a big matchday and add a personal edge from my stand point. “I’ve been through this process twice and been successful at Junior Level with it, in terms of representing England Counties U20’s v Georgia U20’s at Volac Park a few years ago, alongside Jack Daly and Jamal-Ford Robinson at the time. It’s really good practice for me to be able to reflect on my process and pass on my knowledge to the next crop of EC players”. After a late omission of Redmond Newberry (former Shelford second row) from his coaching team, Penfold has called upon one of his Cambridge teammates, Rob Conquest, who is two appearances short of his 100th cap for the National League One side, to steward the forward coaching, allowing Penfold to focus on his main attribute, the backs, as well as overseeing the entire operation. “Rob’s a young coach as well, so we will look to split it straight down the middle with him looking after the Forwards and myself taking care of the Backs. We’re both young coaches who have a similar ethos and outlook on how the game should be played, which from my viewpoint only speaks of positive things of what this side can achieve, as our messages on how to play will not contradict each other. “Both being young, we can reflect on our own playing experiences, which can in time over the next few weeks, hopefully rub off on the players that we’re coaching”. Conquest, who will likely play some part in the Bill Beaumont Championship this May, was surprised, yet grateful that an opportunity like this had been presented to him, this early on in his coaching career. He said, “It’s unfortunate for Red Newberry who had to drop out Unfortunately due to some unforeseen commitments. Equally however it is a fantastic opportunity for me. Obviously, my main point of charge will be the forwards and in particular the set-piece (scrum and lineout), but as Ben has eluded to, we have the same ideas, so I suspect allot my pointers in terms of how the entire side should operate will come across in both my discussion with the players and also Ben’s communication with the group”.